In the biofuels business, establishing the feedstocks for advanced biofuels is crucial for commercial development, given that the largest cost associated with production is for the feedstock. As such the 6th Global JatrophaWorld 2013 shall make Investors more comfortable and knowledgeable for second-generation nonfood biofuel feedstocks to select right technology that will be a make-or-break factor for the success of future second-gen biofuel. The 6th Global Jatropha World is mostly dedicated to multifeedstocks for building a sustainable biodiesel industry.The JatrophaWorld 2013 is designed to educate all stakeholders about critical issue of availability of right feedstock at right cost to make biodiesel a long-term business opportunity. Global JatrophaWorld 2013 marks the 6th edition with resounding success. -is this industry attracting the needed capitals ? JWTP 2013, the most happening knowledge platform for the Jatropha industry! To remain at the peak of your Industry you need to be conversant with the latest developments as they take place. To be conversant with these developments you need to be at JWTP 2013. 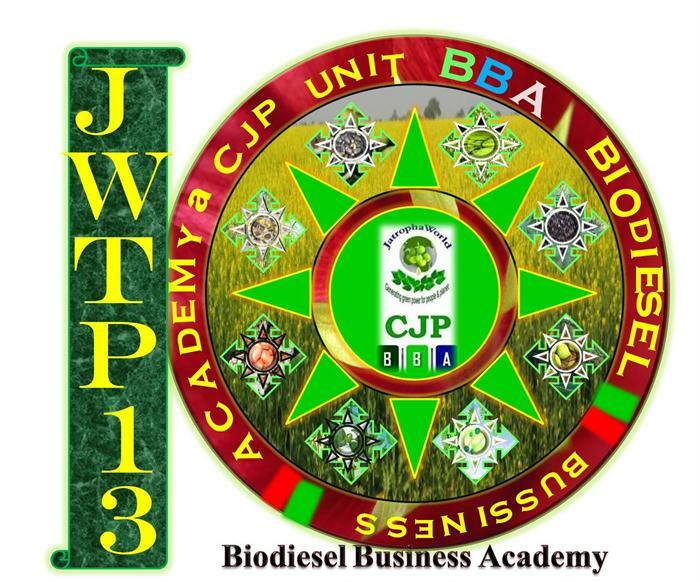 JWTP 2013 is the premier platform for the leaders and experts of the industry in the Jatropha industry. Thank you for your interest in JWTP 13. No reviews were found for 6th JatrophaWorld - 5 Day Global Jatropha World 3.0 Integrated Nonfood Biodiesel Farming & Technology Training Programme. Be the first to review!